Today at the IFA consumer electronics show, Lenovo (HKSE: 0992) (ADR: LNVGY) introduced a comprehensive update of its Idea-branded consumer PCs, including a new IdeaPad® U Series Ultrabook, IdeaPadY and Z Series laptops, and IdeaCentre®A and B Series all-in-one (AIO) desktops. Powered by third generation Intel® Core™ processors or AMD A-Series processors, Lenovo’s new PCs offer consumers a variety of style, color and performance options, designed for the upcoming Windows 8 operating system. Following in the footsteps of its fashionable predecessors, the U310 and U410, the 15-inch IdeaPad U510 combines the best features of a traditional laptop with the sleek aesthetics and desirable qualities of a tablet. Measuring just 21mm thickand weighing under 2.2kg, the U510 combines high-performance technologies for ultra-responsive computing and instant-on system resume in just over a second, including up to a third generation Intel Core i7 processor, and as much as 1TB of HDD storage with an optional 32GB solid state drive cache, and a battery life of up to six hours. The U510 is also equipped with an integrated DVD reader/writer or Blu-ray Disc™ drive. The latest offerings in Lenovo’s Y Series, the IdeaPad Y400 and Y500, are mobile gaming and multimedia powerhouses. Designed to perform, the Y400 and Y500 feature the unique UltraBay—an interchangeable bay that users can instantly swap out for dual graphics capability, increased storage space or an additional fan for cooling. Whether editing photos and videos or playing computer games, the laptops can handle almost any intensive task thrown at them. Each model is equipped with up to third generation Intel® Core i7 processors, NVIDIA® GeForce® GT655M 2GB dual graphics, up to 16GB DDR3 memory, and as much as 1TB of HDD storage. With looks to match, they also feature an eye-catching carbon fiber patterned cover, 14-inch and 15.6-inch LED backlit widescreen HD displays, and a dual-layer backlit AccuType keyboard with a large one-piece touchpad. The IdeaPad Y400 and Y500 also include JBL® speakers and Dolby® Home Theater® v4—a perfect audio complement when watching HD videos. The Z400 and Z500 are 25 percent slimmer than a standard laptop2, without compromising on processor or graphic performance. Equipped with up to third generation standard voltage Intel Core i7 processors, instead of the low-voltage processors used on ultraportable notebooks, the Z400 and Z500 are available in a range of colors, including coral blue, dark chocolate, peony pink, and enamel white, have a soft-touch exterior and a 14-inch or 15.6-inch LED backlit HD widescreen display, respectively. Combined with the latest NVIDIA GeForce graphics technology, smart features like Intelligent Touchpad and access to Lenovo Cloud, the Z400 and Z500 laptops offer users a slim laptop with robust performance. The stylish IdeaCentre A520 is cast from the same striking mold as its multi-award-winning predecessor, the IdeaCentre A720, but with a more compact 23-inch frameless 1080p full HD display that starts at US$999. The A520 supports 10-point multi-touch with a widely adjustable screen angle (from -5 to 90o flat) and IPS LED with perfect picture at any angle, so users can watch movies, play touch-based games or enjoy video chat in any position. The A520 comes with up to 3rd generation Intel Core i7 processors with Intel HD Graphics 4000 and as much as 8GB DDR3 of memory with up to 1TB of HDD storage. Additional features include Dolby® certified speakers with Dolby® Home Theater® v4, optional Blu-ray Disc, and a range of touch-optimized multimedia applications and games. Lenovo B Series all-in-one desktop PCs come packed with fun entertainment features right out of the box. Multimedia entertainment comes alive on the 21.5-inch (B340 and B345) and 23-inch (B545) with full HD widescreen frameless displays that support state-of-the-art 3D vision—with two pairs of glasses included—and 10-point multi-touch technologies. The B Series all-in-ones use more powerful processors and components designed for desktop tower PCs. Available with up to 3rd generation Intel Core i7 or AMD quad core processors and cutting-edge NVIDIA® GeForce® 615 2GB (B340) or AMD Radeon™ HD7470A 1GB (B345 and B545) graphics, users can also enjoy a great gaming experience. VESA mount compatibility gives users flexibility on where to situate their all-in-one in the home, while optional TV tuner provides great access to HDTV. 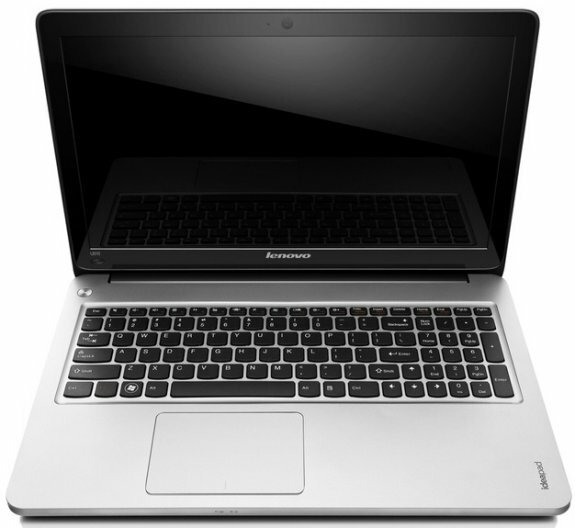 The IdeaPad U510 will be available September 2012 starting at US$679. The IdeaPad Y400 and Y500 will be available October 2012 starting at US$649. The IdeaPad Z400 will be available November 2012 starting at US$549. The IdeaPad Z500 will be available September 2012 starting at US$549. The Lenovo IdeaCentre A520 will be available October 2012 starting at US$999. The IdeaCentre B340 and B345 will be available October 2012 starting at US$599. The IdeaCentre B545 was available in April starting at US$699.